The structural steel shop drawings are complete. Stay tuned for the assembly of the Park Slope Townhouse superstructure! Utilizing Passive House design principles, the Krasuz Hausz features a robust building enclosure that will optimize energy performance. RES4 is excited that the design phase. Massing studies for a new prefab house, sitting at the confluence of two rivers in Connecticut! Loft-within-a-loft: this tiny project is the creation of a lofted bedroom (along with plenty of built-in storage) for a young son inside a Manhattan loft. As construction on the apartment is progressing, we are working on nailing down our mill pattern & details for this 24' long wall, with an undulating circle pattern constructed out of corian... take a look at what we have been working on below, and stay tuned for more on this project soon! The Montauk Beach House, located in East Hampton, NY, is a steel framed private residence looking out at the Atlantic Ocean featuring floor to ceiling glass, deck access from every bedroom and a fireplace & hot tub located on the roof. This house also takes advantage of solar and geothermal energy sources. The Catskills Enchanted Cottage, located in Marbletown, NY, is a super efficient 2,000 sf weekend retreat consisting of 2 modular boxes on a prefabricated Superior Wall foundation. The exterior cladding is corrugated Cortens steel with a 2×8 cedar board rain screen. The Catskills SUBurban is schedule to start factory production in the coming months. 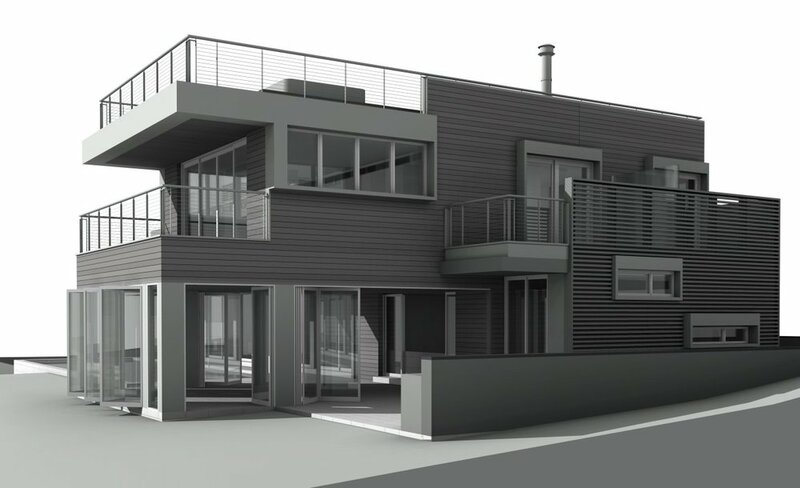 This compact 2,008 sf 3-Bedroom home will incorporate an array of PV roof panels. The Catskills SUBurban is a further development of the suburban typology and was featured recently in the NY Post. The Silverlake Twins located in Los Angeles, CA, is a modification of the stacked bar typology in order to accommodate the steep slope of the site. 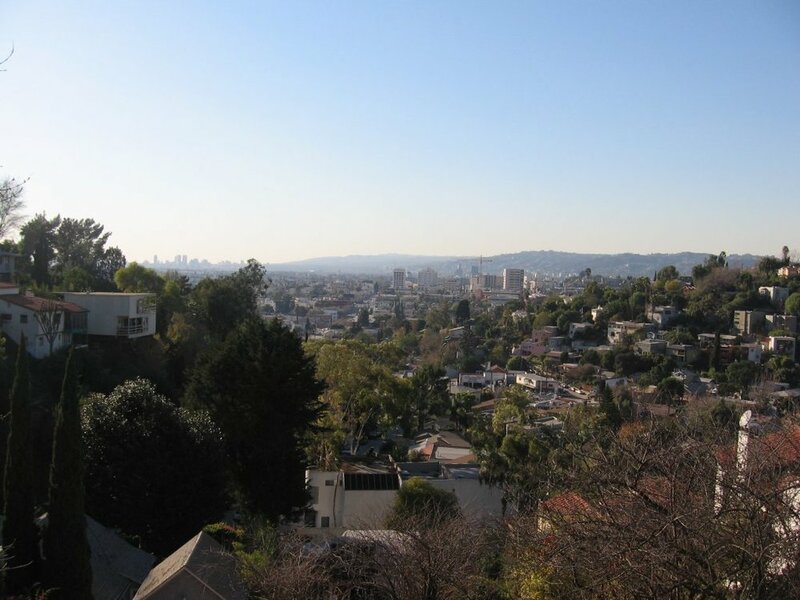 The 2,374 sf panelized prefab ‘twin’ homes are situated on the top of a hill, taking advantage of the Los Angeles view in the distance.